SecureNinja's MCSA / MCSE: Windows 2012 Server Infrastructure (12) twelve-day dual certification boot camp in Washington, DC and San Diego, CA will provide students a full understanding of the Windows Server 2012 environment. 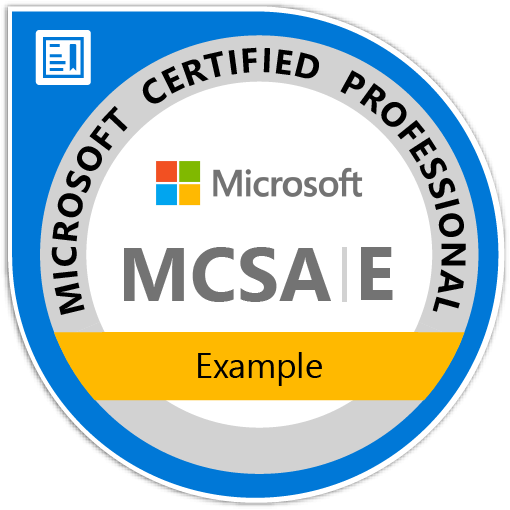 During the training course you will take (5) exams enabling you to attain (2) two certifications; the Microsoft Certified Solutions Associate and the Microsoft Certified Solutions Expert. This module covers configuring Active Directory Objects such as users, groups, and computers. The functionality of AD DS Administrative Tools is addressed, in addition to the configuration of user profiles and the process of delegating permissions to perform AD DS administration. This module covers Internet Protocol Version 4 (IPv4) addressing. It details the various IPv4 components, covers subnetting and super netting, and discusses configuring and general troubleshooting of IPv4 addresses. This module covers securing files, folders, and network file shares, in addition to using shadow copies to protect network file shares. It also covers configuring network printing and creating a printer pool. This module covers configuring Network Access, creating and configuring VPNs and Network Policies as well as troubleshooting Routing and Remote Access. It will also cover the configuration of DirectAccess. This module covers File Server Resource Manager and how to use it to implement Quotas, file screens, and Storage Reports. It will also outline how to implement Classification Management and File Management Tasks as well as covering how to implement DFS, DFS Namespaces and configuration, and troubleshooting DFS Replication. This course is intended for IT Professionals who are experienced implementing, managing and maintaining a Windows Server 2008, Windows Server 2008 R2 or Windows Server 2012 infrastructure in an existing Enterprise environment, and wish to acquire the skills and knowledge necessary to carry out advanced management and provisioning of services within that Windows Server 2012 environment. Students would typically be very experienced System Administrators and should have hands-on experience working in a Windows Server 2008, Windows Server 2008 R2 or Windows Server 2012 environment. This module covers how to plan and implement Network Load Balancing (NLB). It will cover managing and configuring an NLB cluster and validating High Availability for an NLB cluster. This module will cover the options for making virtual machines highly available. It will cover how to implement virtual machines in failover cluster deployed on a host, options for moving virtual machine or its storage and Provide high-level overview about System Center Virtual Machine Manager (SCVMM) 2012. This module covers Describe the Public Key Infrastructure (PKI) components and concepts. It covers implementing a certification authority infrastructure, Planning and implementing a certificate template deployment using an AD CS certification authority and Planning and implementing certificate distribution and revocation. Exam 70-416- This course provides students with the skills and knowledge to be able to design, deploy and manage a physical as well as a virtual Windows Server 2012 application management infrastructure. Students will also learn to design, deploy and manage Windows 8 Enterprise applications in a physical and virtual environment as well as in the cloud. This course is intended for IT Professionals who are interested in specializing in Windows 8 application deployments and managing the application environments for large organizations. People attending this training could support technicians or currently in deployment roles and are considering taking the next step in their career or enhancing their skills in the areas of planning and deploying Windows 8 desktops. Describe Service Manager's self-service catalog and how to deploy it. Exam 70-414- In this course, students will learn how to plan and implement some of the more advanced features available in Windows Server 2012. Plan and implement updates for Hyper-V hosts by using Cluster-Aware Updating and VMM. Describe the high-level requirements and strategies for implementing a business continuity strategy. This module explains how to plan and implement an AD FS server deployment and claims-aware application access. Plan and implement AD FS claim providers and relying on parties. Plan, implement and manage an AD RMS cluster.